Willow had fallen out of her wheelchair. Again. This time it had been because she was too weak to sit up, she&apos;d simply toppled off when she&apos;d leaned forward. She lay sprawled on the ground, gathering her strength. Slowly, her back screaming in protest, she clawed her way up to a sitting position, her back against the wall. She couldn&apos;t breathe, staring to cough, Willow covered her mouth with her hand to stifle the noise. The thought of calling for Bucky to help her up crossed her mind. She decided not to. Coughing roughly Willow started to fall to the side, she couldn&apos;t keep herself sitting up. She could feel wet blood on her hand from where she was coughing. The edges of her vision blurred. Bucky tossed the towel he&apos;d been using into the basket, before opening the door to the bedroom. He flipped the lightswitch on, and a bolt of horror ran through him. Willow was collapsed on the ground, laying on her side. "Willow!" Bucky bolted to her side, kneeling down besider her. He pressed two fingers to her neck, silently thanking God when he found a pulse. This wasn&apos;t the first time he&apos;d found Willow unconscious, but God, he wanted it to be the last. As she&apos;d gotten more and more sick, Bucky tried not to leave her on her own. He was always terrified of this, that he&apos;d walk back into the room and find her like this. Twin streams of blood ran from Willow&apos;s nose, and blood was still wet on the corners of her mouth. Bucky picked her up gently, her head lolling against his shoulder, her body limp. Setting her down gently on the bed, Bucky grabbed her tank of oxygen and quickly attached her to it. "It&apos;s gonna be okay Willow. Please be okay. I&apos;ll be right back." Bucky ran out of the room and into the kitchen, throwing open one of the cabinet doors and grabbing the bottles of medicine inside. "Bucky, what&apos;s going on? I heard you shout." Lulu walked into the kitchen. She caught sight of the blood on Bucky&apos;s hands, and the bottles of medicine. Her face paled, "Oh God not again." She rushed out of the kitchen, headed towards Willow&apos;s room. With Bucky following. 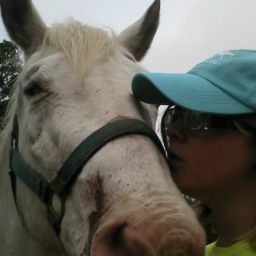 Willow was still unconscious, but she was breathing steadily. Bucky pulled up a chair, sitting down next to Willow and taking one of her pale hands. Lulu sat down gently on the bed next to Willow, grabbing her other hand. This was how they sat. This was how they waited. Every time Willow had one of her episodes, every time she stopped being able to breathe. Sitting and waiting. Bucky on one side, Lulu on the other. Both holding Willow&apos;s hands as though they were her tethers to life. Though neither of them knew it, that was precisely what they were. The reason Willow kept trying to live day in and day out. "She&apos;s going to be just fine. Like always." "Really?" Lulu snapped. "She hasn&apos;t been fine for months Bucky, and she&apos;s getting worse. That thing you do where you and Willow pretend everythings going to be fine doesn&apos;t work for me." "What? The time?! Bucky, my best friend is laying unconscious on a bed, hooked up to oxygen to stay alive. Because her body is trying to kill her." Lulu&apos;s free hand clenched into a fist, "It&apos;s not going to be okay Bucky. Not ever." "Willow&apos;s been sick before, but never like this. It&apos;s her abilities, taking their toll finally. If she doesn&apos;t survive...I don&apos;t know." "She will," Bucky said fiercely. "She&apos;s been sick like this before. A few years ago, remember? She recovered." "Not like this," Lulu said softly. "You don&apos;t see it do you?" "See what?" Bucky asked, leaning forward and brushing a strand of Willow&apos;s hair back behind her ear. "Her eyes. She&apos;s tired Bucky. She&apos;s giving up." "No. Lulu. Don&apos;t say that. She&apos;s a fighter. Always has been." Bucky stared down at Willow&apos;s face. She looked awful; pale, wan, sunken eyed, and yet she was still as beautiful as the day he&apos;d met her. He couldn&apos;t imagine a day where he had to wake up and not see Willow sleeping beside him. So he tried to put Lulu&apos;s words out of his mind, reassuring himself that she was just upset, probably didn&apos;t mean it. He tore his eyes away from Willow, glancing at Lulu. She was still staring down at Willow, and there were tears running down her face. Bucky stared in shock, Lulu never cried, never seemed weak at all. His first instinct when someone was crying was to reach out and comfort them, but he had a feeling if he tried to put a hand on Lulu&apos;s shoulder she&apos;d slap him. "I&apos;m sorry," She sobbed. "I shouldn&apos;t have said that. It&apos;s just- Willow&apos;s been my best friend since I was 8, and that look in here eyes, the one that always held some sort of silent dare, like she was challenging the world. That look is gone. Like, the life&apos;s just going out of her." Lulu wiped at her face, trying to dry her tears before they rolled off her cheeks. "I can&apos;t keep doing this. Can&apos;t keep wondering every time I see Willow if it&apos;s the last time I&apos;ll hear my best friends voice." Lulu&apos;s voice broke, and she kept staring down, not meeting Bucky&apos;s eyes. "Lulu. I know. I know Willow. But she&apos;s overcome so much, lived through so much. This won&apos;t be what takes her from us." "God I hope your right." Willow coughed, opening her eyes, "Hello Again." Lulu wrapped her arms around Willow, hugging her roughly. Willow smiled, but it was a sad smile. Bucky saw how Willow&apos;s arms shook as she slowly lifted them to hug her friend back. His heart felt like it might shatter. Lulu pulled away from Willow, "Get some rest." After Lulu left, Willow fixed the gaze of her sharp blue eyes on Bucky, "Why was she crying?" "She was worried about you. We both were"
Willow&apos;s face fell, "I&apos;m sorry." Bucky grabbed the bottle next to the bed and shook out a few pills. Willow took them from him in a shaking hand, and Bucky pressed a glass of water to her lips. "Besides," He went on. "You worried about me plenty. Let me take my turn." Willow coughed violently, "I&apos;m cold. Come here." 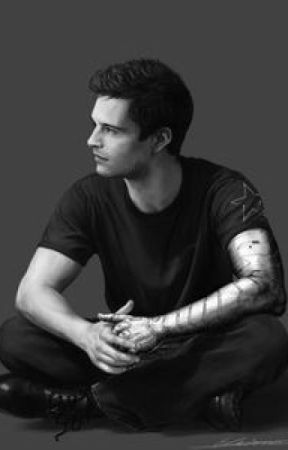 Gently, Bucky climbed into bed beside Willow, wrapping his good arm around her, using his metal arm to prop himself up. Willow scooted closer to Bucky, "I&apos;m so cold Buck." "I know Willow. I know." Bucky tightened his grip on Willow, she was so frail now. So thin. "I can hear what your thinking, you know," Willow said, her voice slightly muffled, since her face was buried in Bucky&apos;s shirt. "I don&apos;t mind". Bucky ran his fingers over the bones in Willow&apos;s wrist, "You still have the same bones." He kissed the top of her head.